DR Khalil awad chiropractic, PEC Associates, Center Point AL Chiropractor, Trussville AL Chiropractor, Birmingham AL Chiropractor, Birmingham AL Chiropractic, Birmingham AL back pain relief, Birmingham AL back injury, Birmingham AL neck pain, Parkway East Chiropractic, Birmingham AL headache, Birmingham AL migraine, Birmingham AL neck injury, Birmingham AL auto accident injury, Birmingham AL spinal decompression, Birmingham AL Chiropractors, Dr. Khalil Awad D.C. and Dr. Darrin Wright: Parkway East Chiropractic,Parkway East Chiropractic Clinic Chiropractic care for back pain, back injury, neck pain, neck injury, headaches, migraines, whiplash, sciatica, herniated discs, Birmingham Alabama truck accidents. Have you ever felt like you are missing a healthier life? We have all had this feeling at one time or another, but the truth is; it’s never too early or too late to step up your journey to wellness. Wellness starts with a lifestyle that includes Chiropractic Care. As a gentle, caring Doctor of Chiropractic, Dr. Awad has been trained, licensed, and have years of experience in successfully evaluating patients. He doesn’t just treat your symptoms. He treats the real cause of your health issues. He is dedicated to helping you have a better outlook on life. Dr. Awad takes the proper time to understand your needs and then gets to the root of concerns. He believes the key to good health is proper function. With the focused care of Parkway East Chiropractic, you’ll start feeling and living better in no time! When you arrive at Parkway East Chiropractic, we take the time to explain what we find and customize a program that will help you get back to life as quickly as possible. Our friendly staff will help you every step of the way. 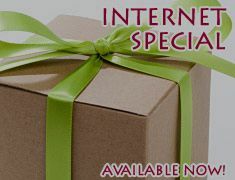 We also have access to the most modern and up-to-date technologies, should that become necessary. If you have visited another Chiropractic clinic and found yourself receiving the same treatments over and over and feel like a number and not a patient...then visit us. No routine, run of the mill, nor generic programs here at Parkway East Chiropractic. You will have a personal treatment plan tailored to your specific condition. Now, Alleviate Pain - YES! But, it’s not about eliminating pain today; it’s about living healthy and pain-free for all of your tomorrows. That's why, once you're out of pain-whether it's back pain, neck pain, headaches, extremity pain, or other problems- we'll teach you how stay that way. 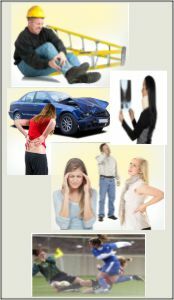 Parkway East Chiropractic also provides care for auto accidents and work injury cases. Our goal is to provide our patients with the best possible care and to get you back to a full and healthy life as quickly as possible! © 2013 PEC. Associates. All rights reserved.